Skin tone, dryness, redness, and luminosity are instantly, visibly improved. 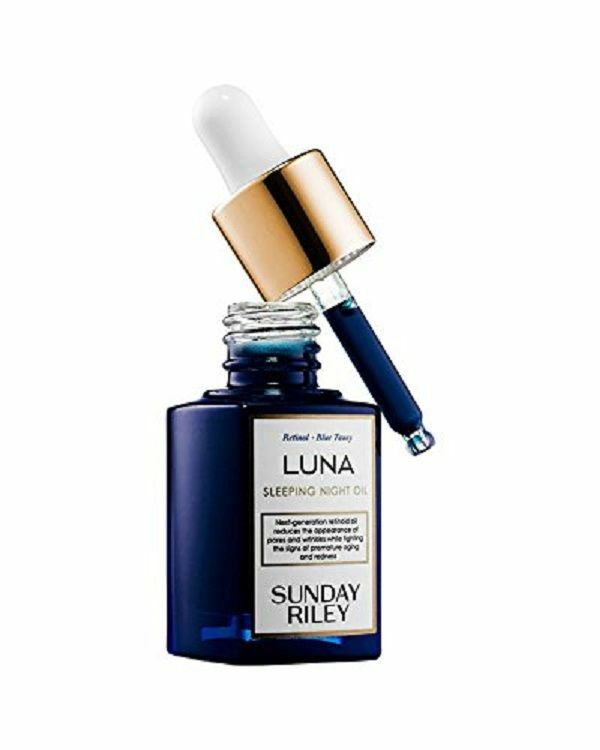 Luna is clinically proven to improve the appearance of fine lines, radiance, and skin smoothness in as little as four weeks, while advanced retinol ester mixed with potent botanicals makes this product the ultimate transformational, soothing, sleeping night oil. Trans-retinoic Acid Ester: Supports healthy skin with the power of retinoids, but without the irritation of traditional retinol; encourages exfoliation and revitalization for the appearance of smoother, younger-looking skin. -Blue Tansy and German Chamomile: Help calm and soothe to reduce the appearance of redness. -Chia Seed Oil: This richest botanical source of omega 3 also provides alpha-lipoic acid.